Erstwhile Deputy Minister of Social Welfare, Gender and Children’s Affairs, Madam Rugiatu Neneh Turay, has decided to contest the March 7 Local Council election under an independent ticket after her party-the ruling All People’s Congress (APC) refused to award her symbol to contest. Rugiatu Neneh Turay, who was also a councilor of ward 172 in Port Loko District and Deputy Chairperson of Port Loko District Council (PLDC) under the APC party ticket, was speaking to this medium on Tuesday at her Devil Hole residence in the Western Rural District, where she also noted that she decided to go independent because she was disappointed with the manner at which the APC party symbols were awarded. “More so, it was a request from the Port Loko people who want a woman to lead the council. The APC party deviated from the principles that were set up in awarding symbol when it was time for me to get it. This has been happening for three consecutive times. In 2007, there was a criteria set for the award of symbol.The same thing applies in 2012 and 2018.When it’s always my turn, the APC party would bring additional criteria to debar me and that’s why I have decided to go independent,” she explained. Asked whether she will win as an independent candidate in a stronghold of the APC party, she boldly stated that nobody has ever tried what she is now doing, but noted that somebody has to take the risk to break the barrier of the whole stronghold thing. She cited the late Alhaji S.A.T Koroma, a founding member of the APC party, who was denied the party symbol by late President Siaka Stevens, contested as an independent candidate and won the election. “One can say Port Loko is the stronghold of the APC but nobody was born with a political party. It’s a choice. At the moment, the people of the district deserve better representation and I’m the only one to do that. In fact, when I was a Deputy Chairperson of the council in Port Loko, we had one independent councilor from Masimra Chiefdom. In 2012, we had five independent candidates in the district. That tells you that people are looking for trusted leaders and until they get them, they will continue to vote for independent candidates,” she said. She suggested that the only way councils in general can be effective is to be non-partisan, saying that she had always called for councils to be non-partisan because if they are partisan, whenever the councilors, mayors or chairmen underperform, and people speak against it, they would say that people are destroying their political party. “I have heard people saying that I am going independent because I want to test my popularity. That’s not just that. It is about believing in yourself and having the confidence and courage to challenge issues. I am going in to win and nothing less,” she bragged. She boasted that she has done a lot for the people of Port Loko especially during the Ebola epidemic, and that calls keep coming from all chiefdoms, asking her to contest because at a time when they were in need, she was there for them. Rugiatu Neneh Turay, who bragged that her name is synonymous to promoting women and children issues, said most of the women that have been making headlines in politics benefitted from various trainings that she organised. She noted that those who have never been to school were trained to talk boldly in public. Unfortunately, she said, since 2007, they have only got two women elected to PLDC at every time. 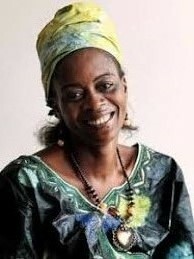 As a brain behind the formation of the Port Loko District Women’s Network in 2012, an organisation established to promote and campaign for the APC party, she recalled there were lots of ‘disgruntle’ women in the district at that time because of the appointment of Dr. Kadie Sesay as a running mate to the flagbearer of the Sierra Leone People’s Party (SLPP). “We used the organisation to tell all women that they were running mates to President Koroma and that initiative brought calmness. The network has been going on well as they were supported to do agriculture and they have large farms in the district,” she explained. Rugiatu Neneh Turay,who was the director and founder of the Amazonian Initiative Movement (AIM), said she established the organisation to fight against violence committed against women and to promote women participation at every level. “One of the things we have been campaigning against is female genital mutilation (FGM), but promoting girl child education. We are building schools to promote education in local communities. We have established safe homes for girls who were victims of FGM and an orphanage for victims of the Ebola outbreak in the district,” she said. She said she had established both primary and junior secondary schools in Rolal and Mamusa villages and a kindergarten for the first time in both villages, adding that she provided a school bus to convey pupils from distant villages to the school. Recalling her experience at PLDC, she said she was able to know why communities were not developed and what they could do as a council to develop them, noting that her bad experience was as a deputy, she was not having total control of implementing what the Local Government Act of 2004 dictates. She said if she wins, she will robustly embark on revenue mobilisation instead of depending on the central government for everything to develop the district. “I will change the face of the council by bringing in the experiences I have accumulated in both non-governmental organisation and government in order to develop the district. I will make PLDC a people’s centred one where everybody will be somebody,” she said. She said most people have been blaming their parliamentary representatives for failing to develop their constituencies, noting that all development efforts have been devolved to local councils and the councils are expected to do service delivery.